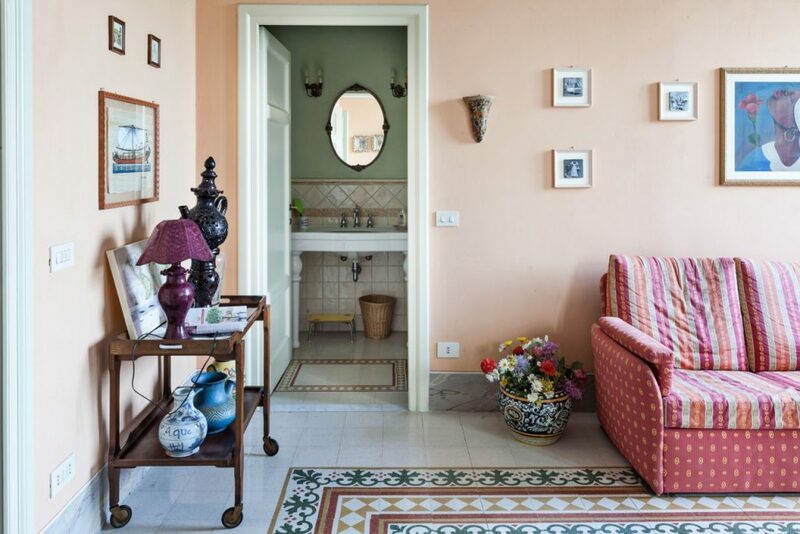 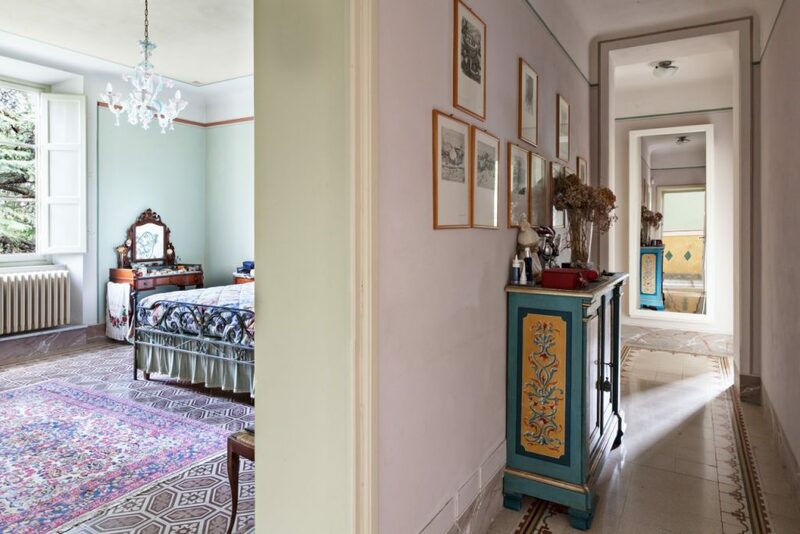 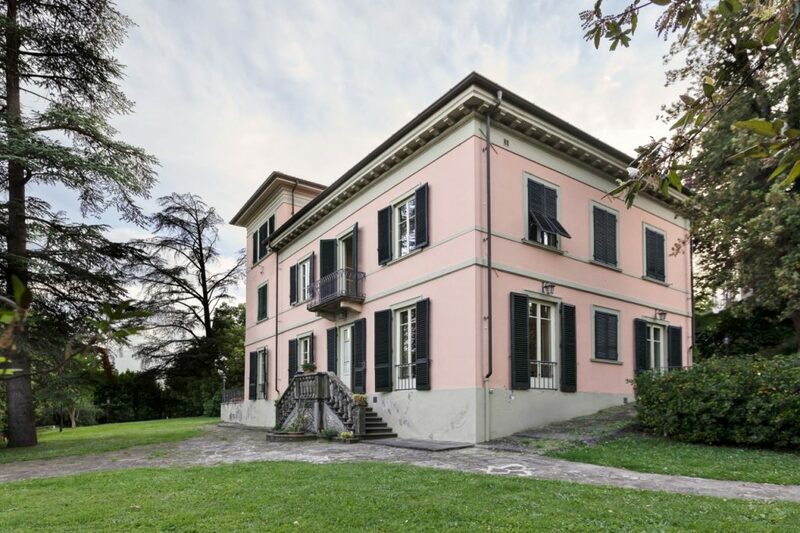 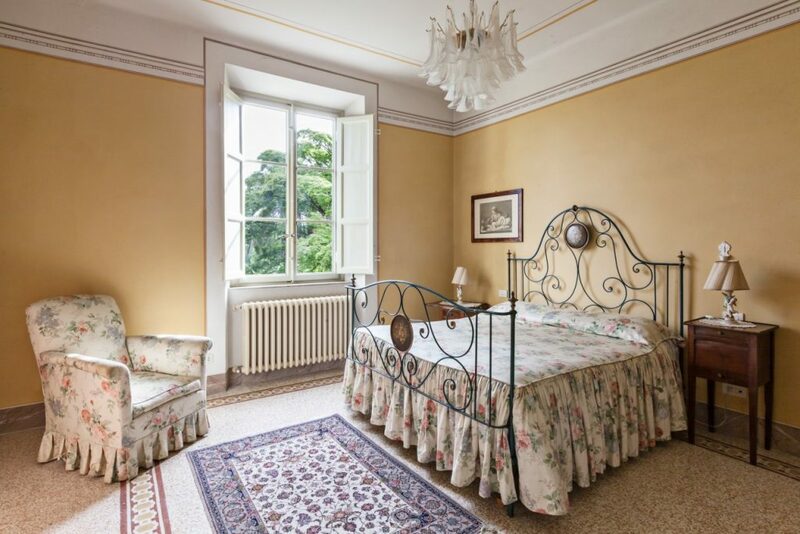 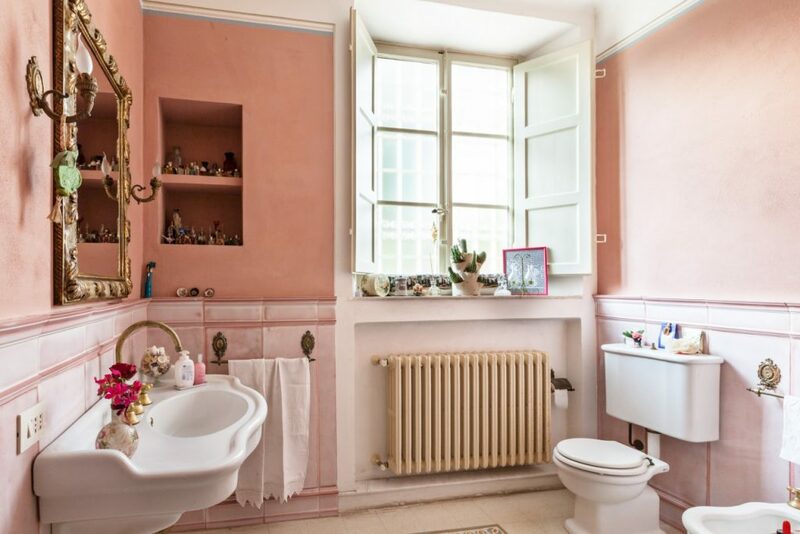 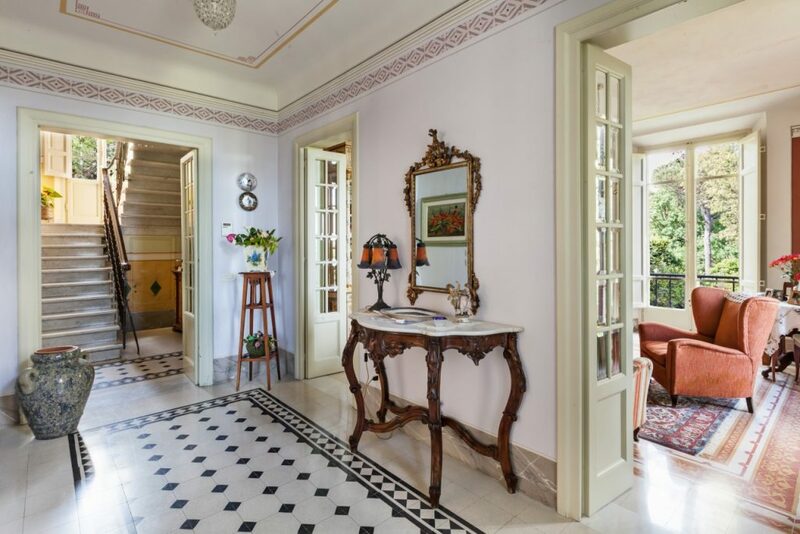 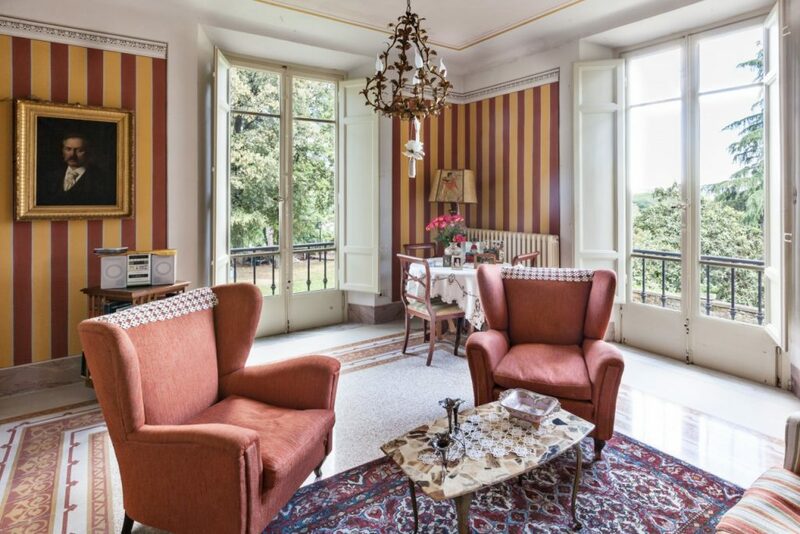 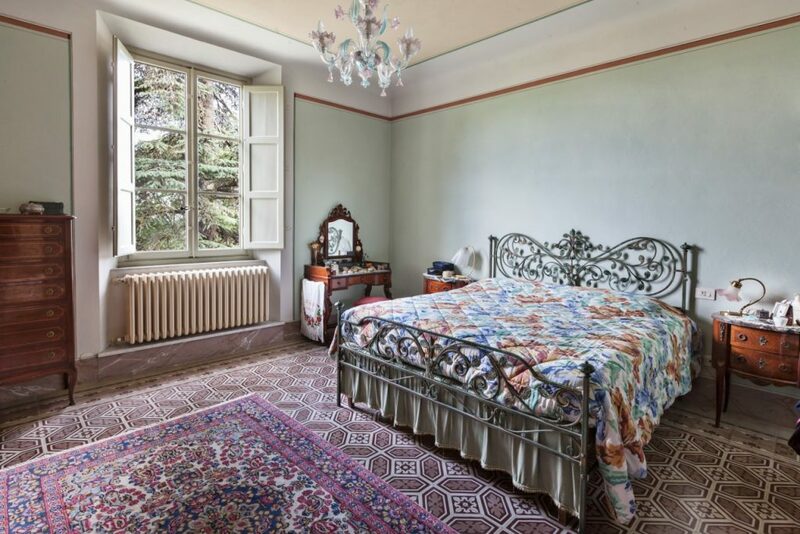 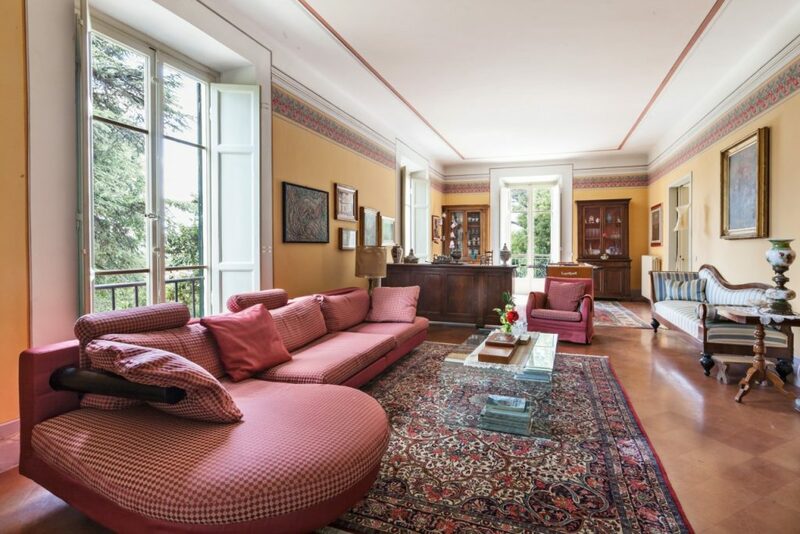 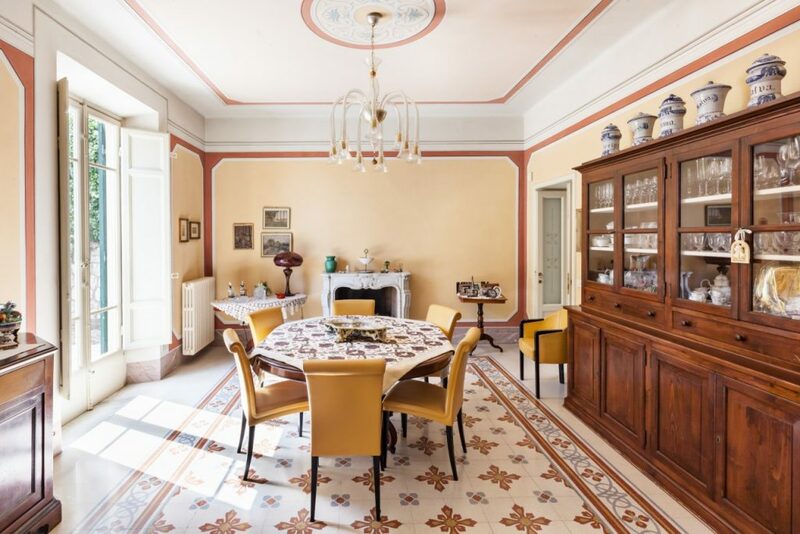 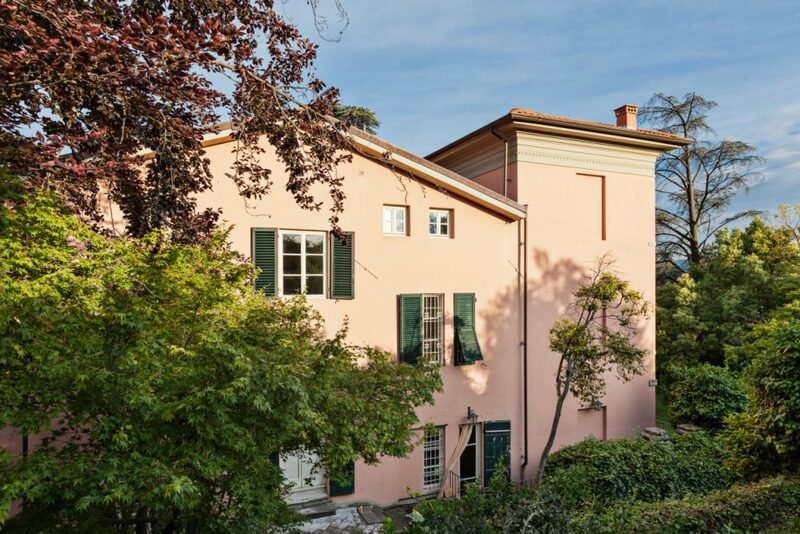 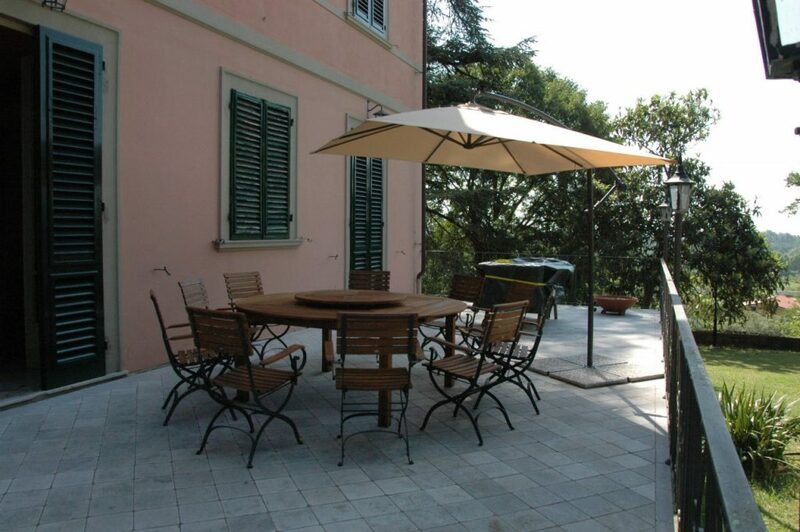 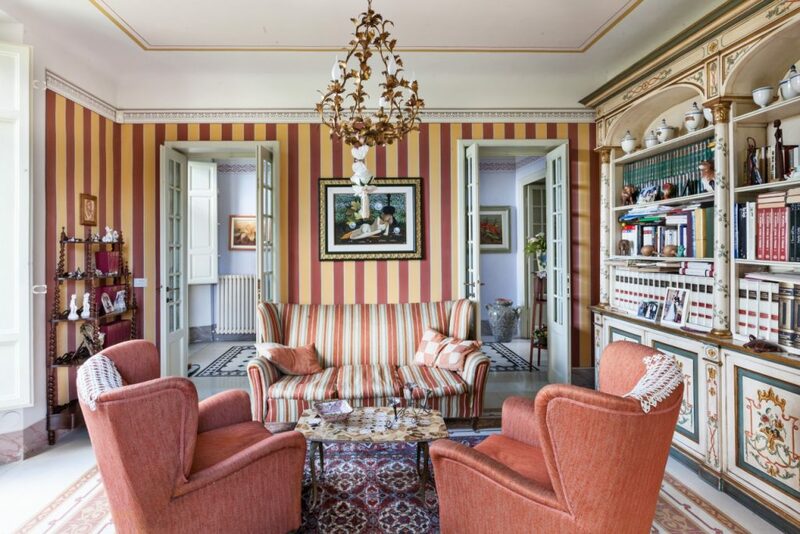 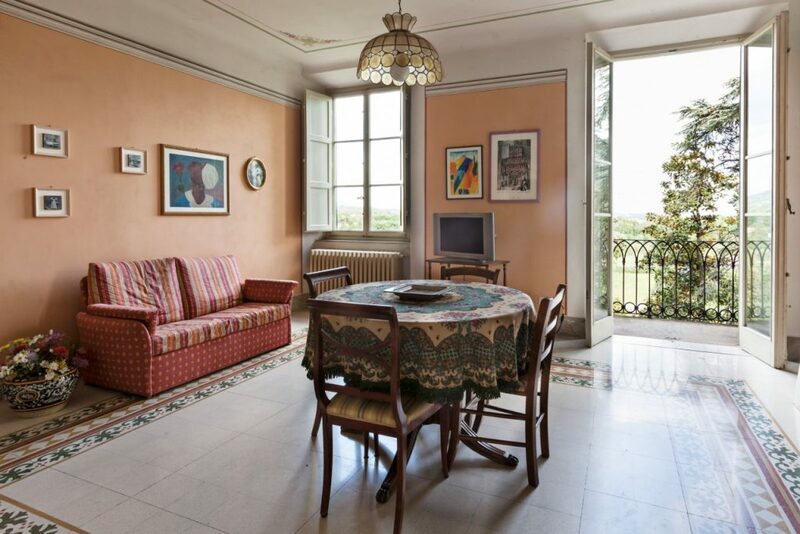 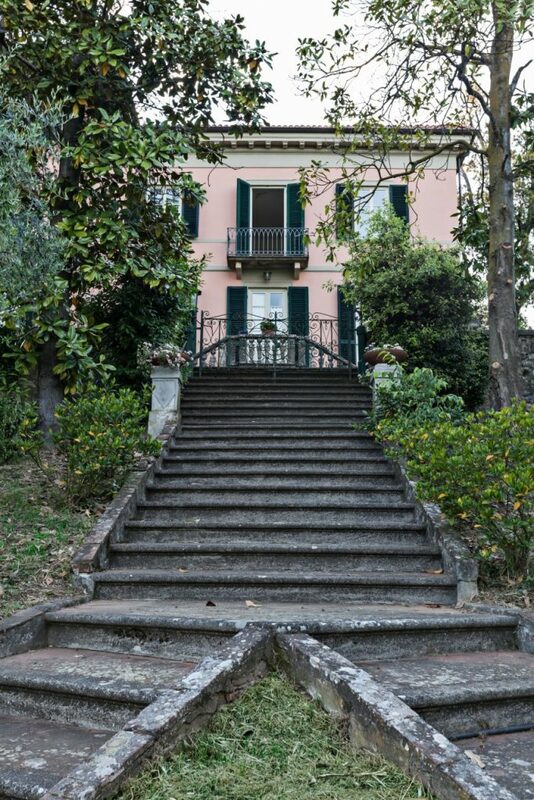 Fascinating and charming Villa dated early twentieth century set in a lovely place surrounded by hills and close to Lucca town (10km). 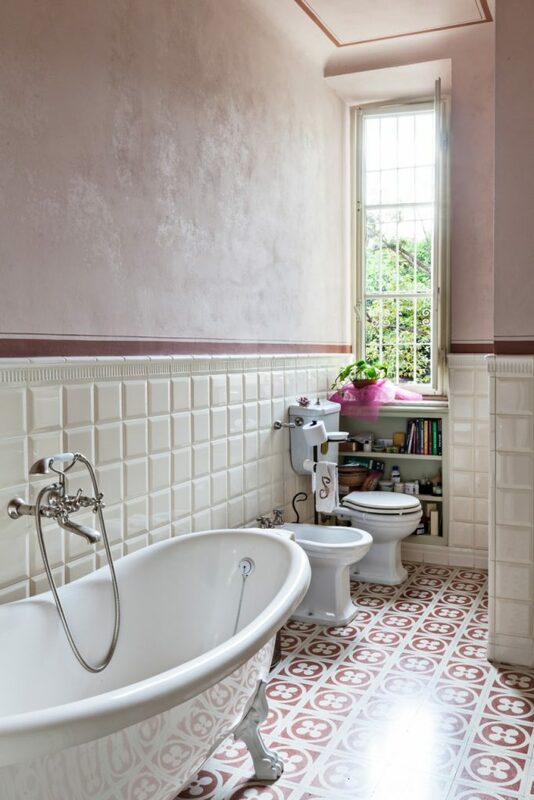 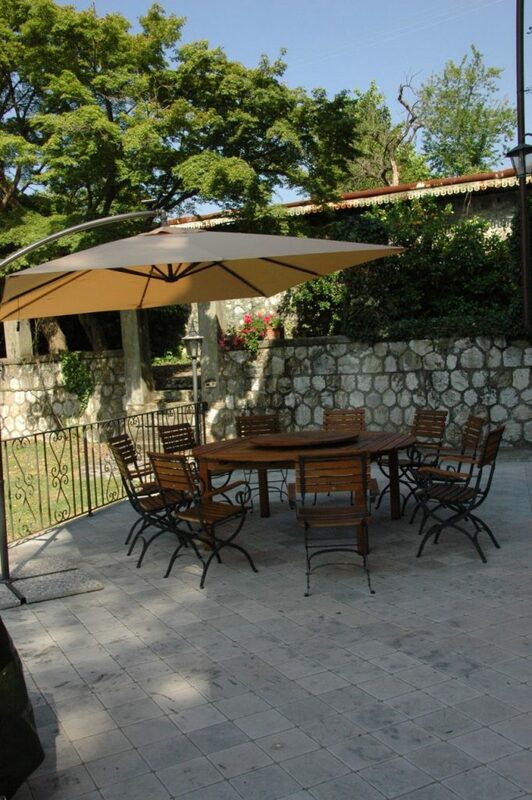 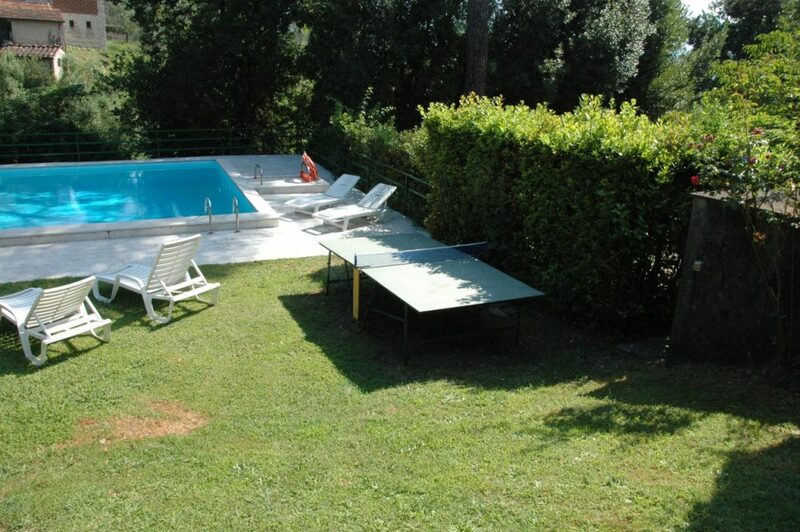 The property has a private garden and a salted water swimming pool. 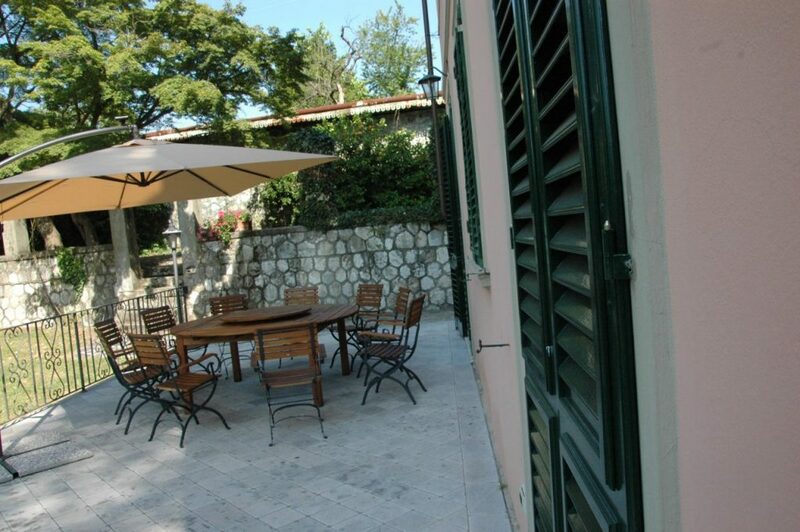 Inside the house is developed on 3 floors, of approximately 150 sqm each. 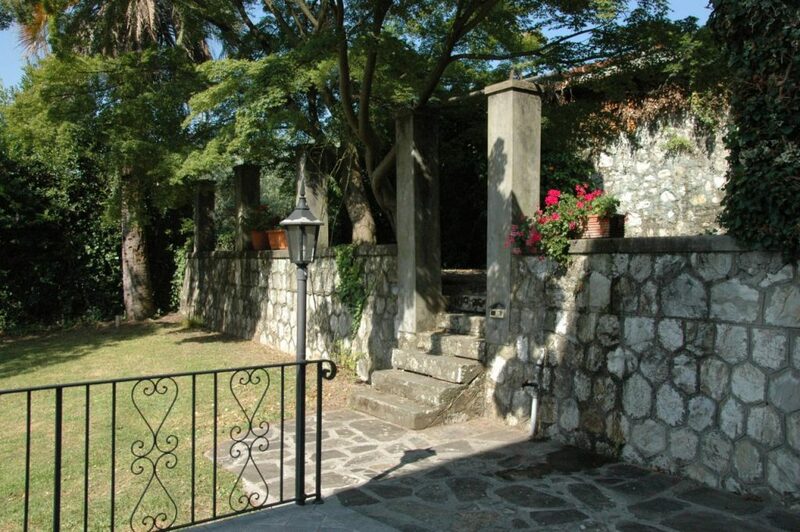 On the ground floor a wide living room with fireplace, studio, dining room with fireplace, connected to a large terrace equipped with barbecue and wood-burning oven. 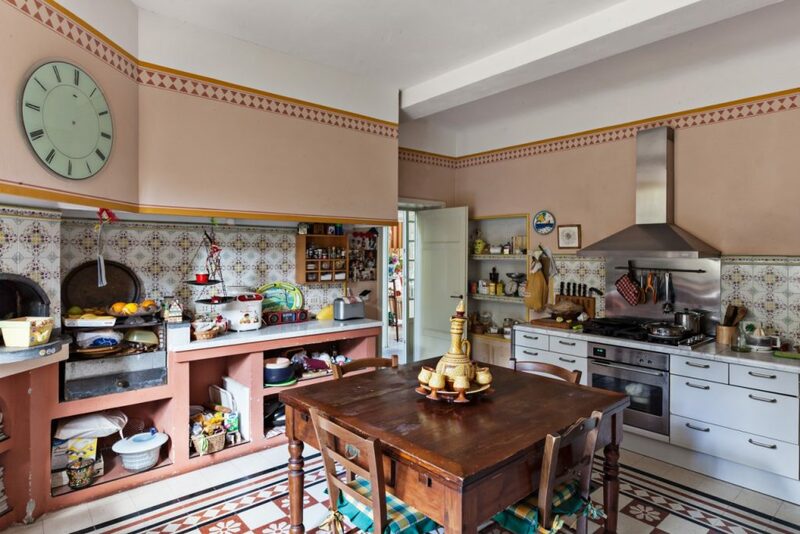 A kitchen with a wood-burning oven, bathroom with shower and laundry. 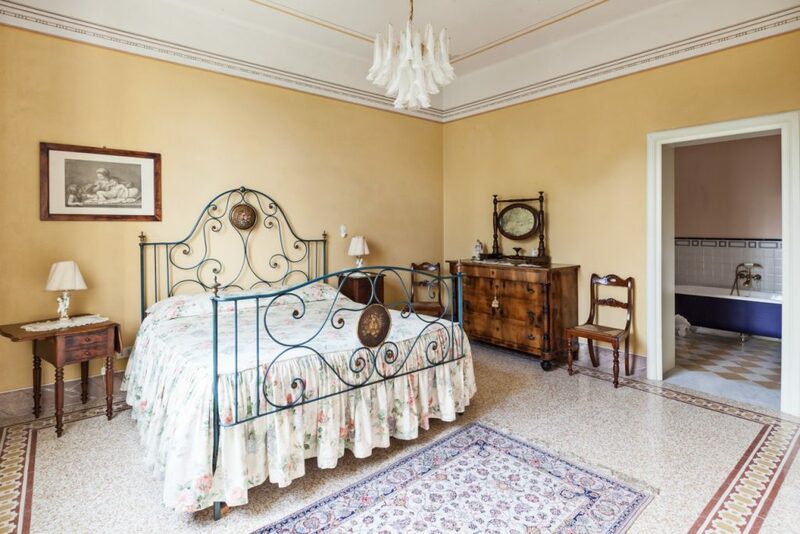 On the upper floor a suite with master bedroom, bathroom and small living room, 1 double bedroom with ensuite bathroom, another double bedroom, a twin bedroom and a bathroom. 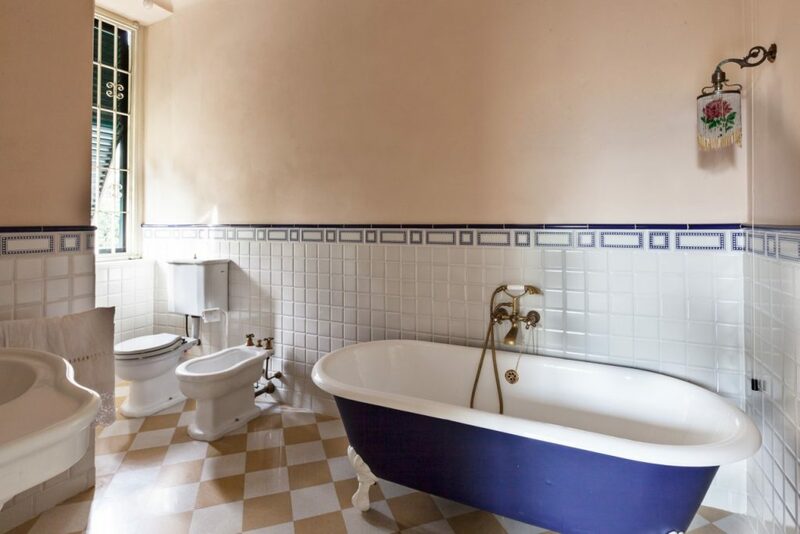 On the second floor one double bedroom and one twin bedroom which share a bathroom. 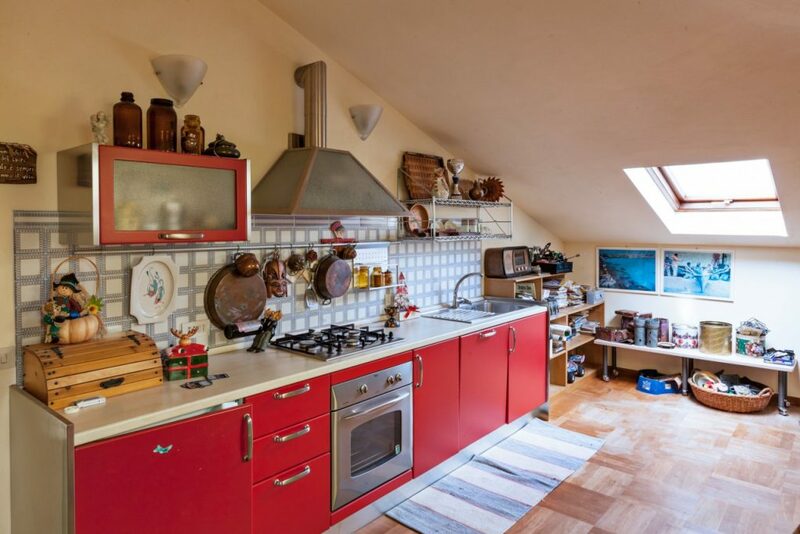 Besides a second kitchen equipped with fridge, oven, and laundry. 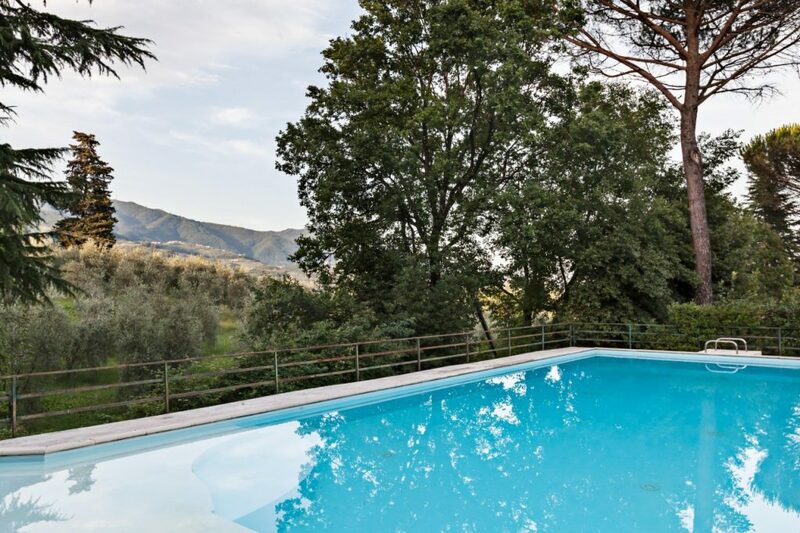 The pool has salt water without chlorine, it measures 15 m x 7 m and is divided in two sections, one small and a larger one with trampoline, 2.50 m deep. 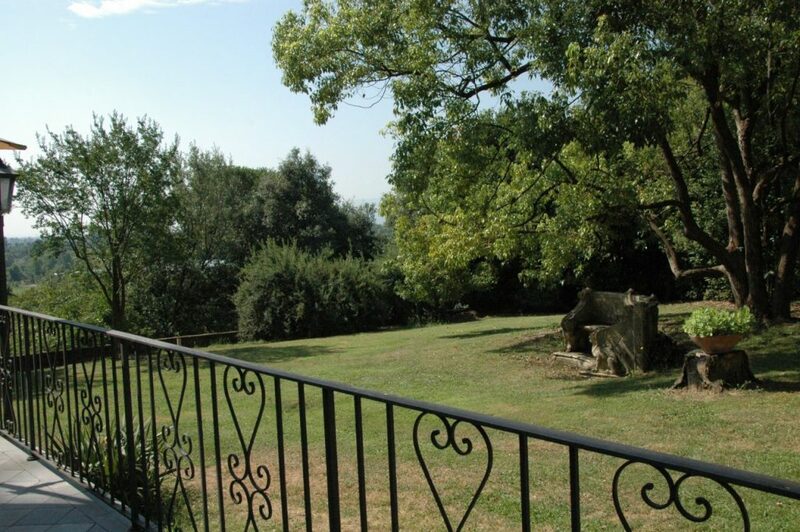 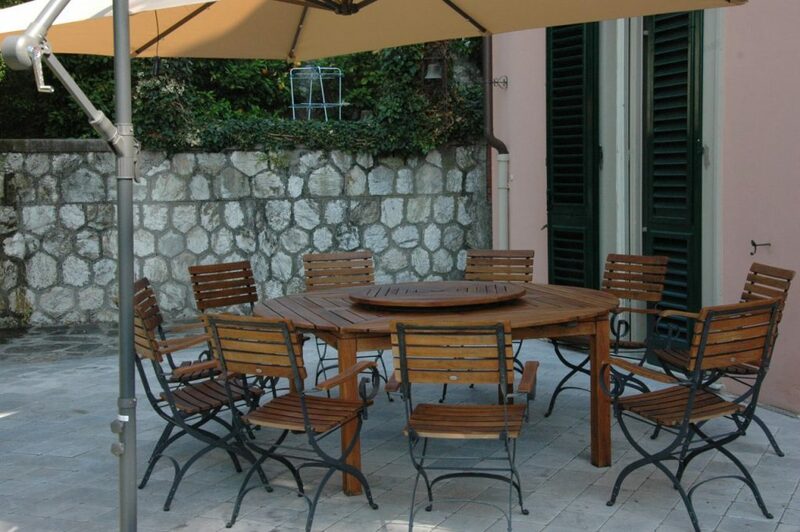 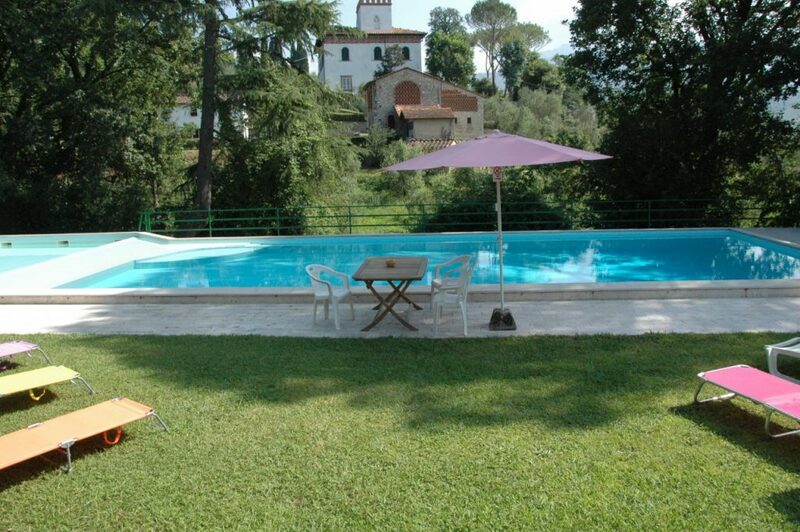 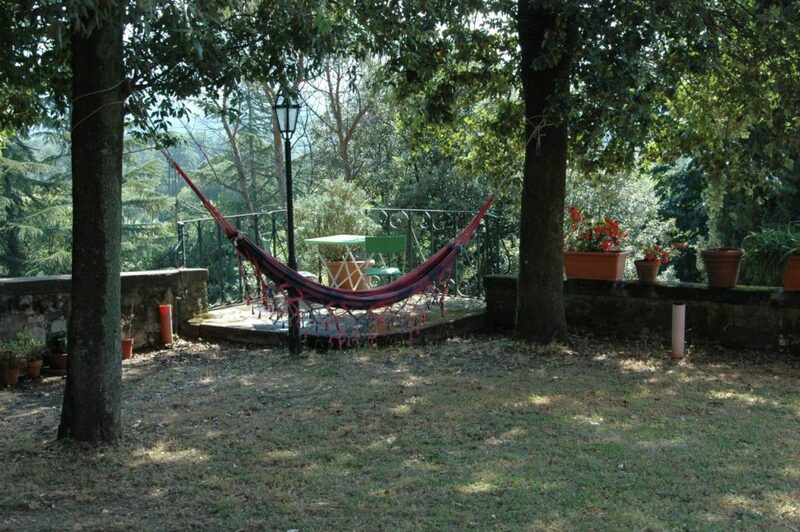 Lovely place to spend pleasant holiday in Tuscany immersed in a traditional and comfortable house.